Note: Change in venue has occurred since the press release was issued. Please check here. LOS ANGELES, November 15, 2018 – The recipients of NATPE’s 16th Annual Brandon Tartikoff Legacy Awards are comedian and media mogul Byron Allen, producer and writer, Mara Brock Akil, former Chairman of NBC Entertainment Robert Greenblatt, actress, singer and dancer Rita Moreno, award winning actress and comedian Betty White and actor Henry Winkler. 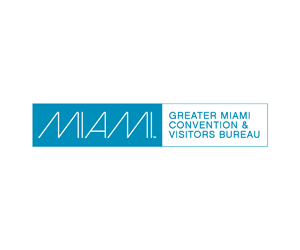 They will receive the prestigious award at a special reception on Wednesday, January 23, 2019, at the Eden Roc in Miami Beach. The Brandon Tartikoff Legacy Award is presented each year during the annual NATPE Miami Marketplace & Conference,which will take place from January 22 to 24, 2019, at the Fontainebleau Hotel in Miami Beach, Florida. At NATPE, top creatives and executives from across production, advertising, distribution, brands, music and more gather for three full days of high-level deal-making, networking, parties and meetups. They will also experience a top-level conference programming lineup of workshops and panels with many of the industry’s most prominent and insightful executives. As the firstcontent-driven show of the year, and a must-attend event for content distributors and platforms, NATPE is committed to setting the tone for industry marketplaces all year by showcasing what is happening not just in the present, but also what can be anticipated for the future. Byron Allen – Byron Allen is the founder, chairman, and chief executive officer of the global mediaand technology company Entertainment Studios. He owns eight television networks, including The Weather Channel, which was acquired in March 2018. The company also produces, distributes, and sells advertising for 41 television programs, making it one of the largest independent producers/distributors of first-run syndicated television programming for broadcast television stations. With a library of over 5,000 hours of owned content across multiple genres, Entertainment Studios provides video content to broadcast television stations, cable television networks, mobile devices, multimedia platforms, and the World Wide Web. Other notable divisions of Entertainment Studios include Entertainment Studios Motion Pictures, which released 2017’s highest-grossing independent movie, the shark thriller “47 Meters Down,” and TheGrio, a digital video-centric news community platform devoted to African Americans with compelling stories and perspectives currently underrepresented in existing national news outlets. Full bio here. Mara Brock Akil – Mara Brock Akil is a writer and producer of over 300 episodes of television who started her career producing and writing for classic shows like The Jamie Foxx Show and Moesha. Brock Akil later went on to create the seminal television series Girlfriends, it’s spin-off The Game and BET’s hit series Being Mary Jane. Most recently, Brock Akil produced Black Lightning for The CW and created Love Is for OWN. She has been honored by Essence magazine with their Visionary Award, has been named to Variety and The Hollywood Reporter’s Showrunner Power List multiple times, and has made The Hollywood Reporter’s Women in Entertainment Power 100 for the past 3 years and running. Full bio here. Robert Greenblatt – One of the most influential television executives of the decade, Robert Greenblatt was most recently the Chairman of NBC Entertainment. Since coming onboard in 2011, Greenblatt returned the then-failing network to #1 in the 18-49 demo where it remained for five consecutive seasons. In his final seasonas chairman, Greenblatt led the network to a total viewer win for the first time in more than a decade. A Golden Globe and Tony Award-winning producer,Greenblatt also ran Showtime and was a top executive at Fox, shepherding ground-breaking content that has changed the television landscape. Full bio here. Rita Moreno –Rita Moreno has won all four of the most prestigious awards in show business: the Oscar, the Tony, two Emmys and a Grammy. She has also received the Kennedy Center Honor for her lifetime contributions to American Culture and was honored as the 50th recipient of the Screen Actors Guild Life Achievement Award. Her countless credits span more than six decades, beginning with her Broadway debutat age 13. Moreno has starred on Broadway; London’s West End; appeared in more than 40 feature films, and countless television shows. Rita currently stars inthe Latino remake of Norman Lear’s classic sitcom, One Day at a Time on Netflix. Full bio here. Betty White – Evenat the age of 96, it won’t slow down comedy legend Betty White, one of the funniest and busiest actresses in Hollywood. With a career that has spanned more than 70 years, the seven-time Emmy Award winner has created unforgettable roles in television and film, authored eight books and won numerous awards, including those for her lifelong work for animal welfare. Most recently, she won a People’s Choice Award for “Favorite TV Icon,” was named America’s Most Appealing Celebrity by Reuters and has been added to the Guinness World Records under the title, “Longest TV Career for an Entertainer (Female).” Full bio here. Henry Winkler – Henry Winkler co-stars as acting teacher Gene Cousineau on the hit HBO dark comedy, “Barry.” This past September, he was the recipient of the Emmy Award for Best Supporting Actor in a Comedy for his role on the series which stars Emmy-award winning actor, Bill Hader. Winkler has enjoyed over four decades of success in Hollywood and continues to be in demand as an actor, producer and director. Full bio here. 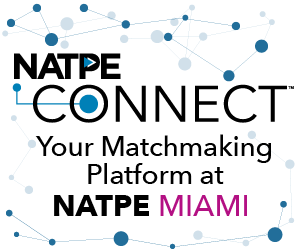 Celebrating over 55 years of service to the ever-evolving global television industry, NATPE continues to redefine itself and the services it provides to meet the needs of its membersand the industry. What has remained constant is NATPE’s commitment to encouraging the growth and supporting the success of video content development,creations, production, financing, and distribution across all platforms. For more information, please visit www.natpe.com.